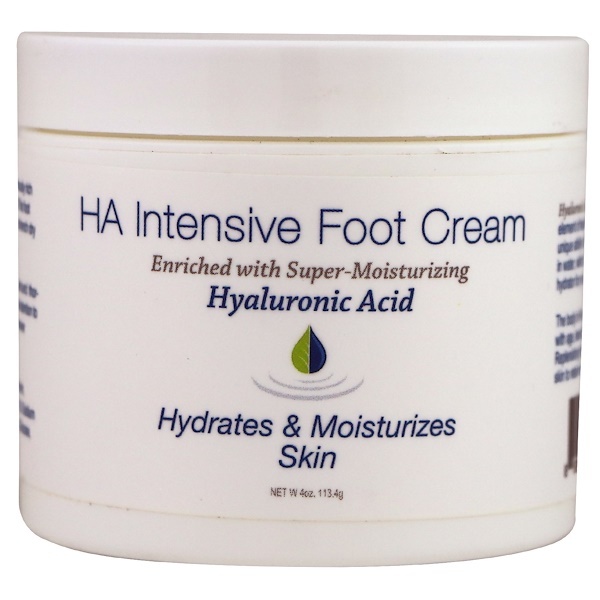 Hyalogic's HA Intensive Foot Cream is a luxuriously rich cream made with nourishing Hyaluronic Acid. 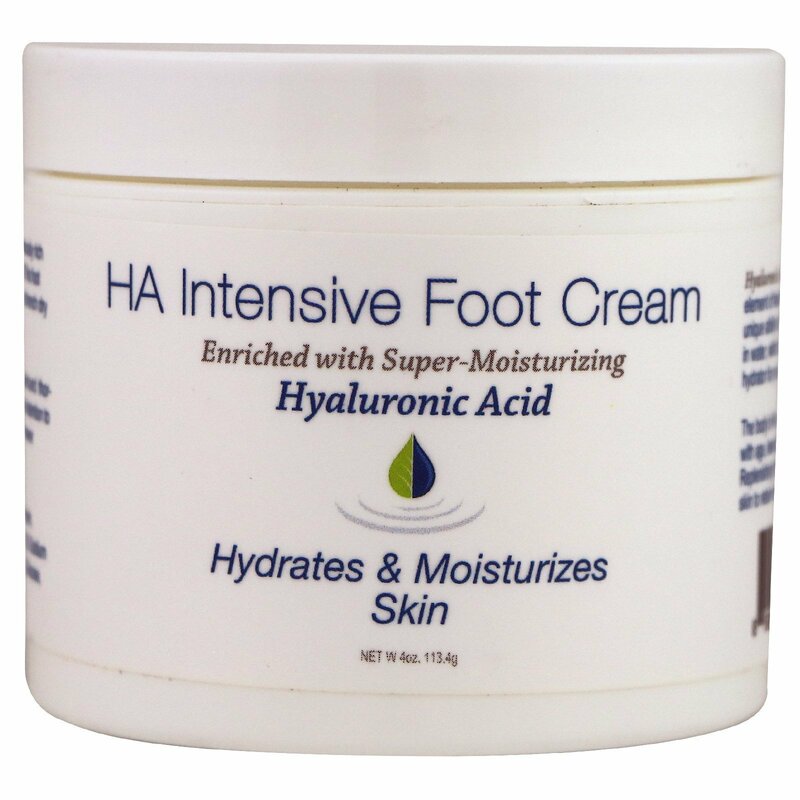 This foot cream will help smooth away rough spots and drench dry skin with unbelievable moisture. Hyaluronic Acid (HA) is a natural and vital element of healthy, supple skin. 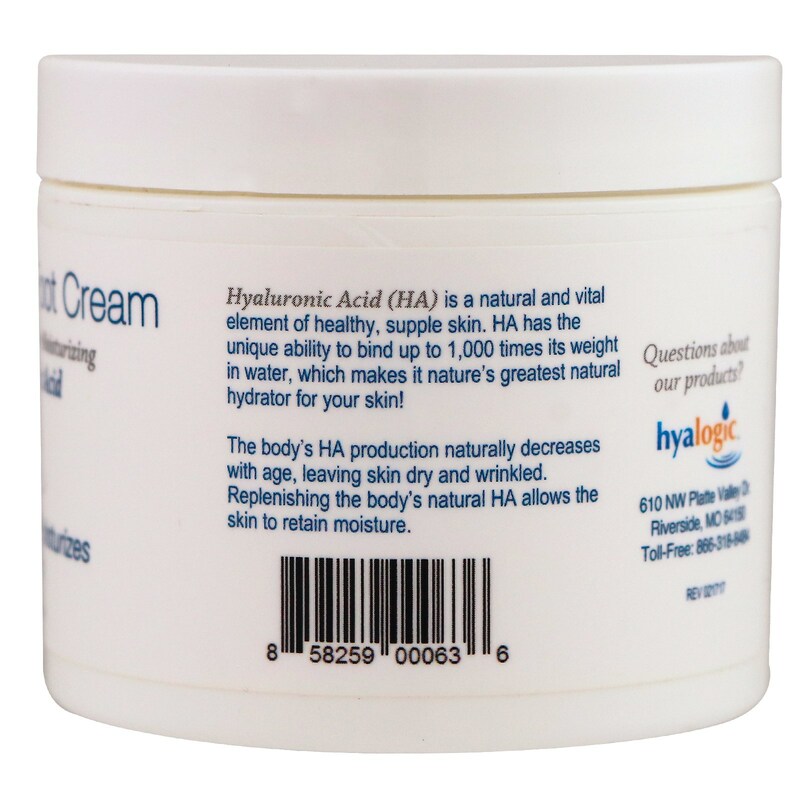 HA has the unique ability to bind up to 1,000 times its weight in water, which makes it nature's greatest natural hydrator for you skin! The body's HA production naturally decreases with age, leaving skin dry and wrinkled. Replenishing the body's natural HA allows the skin to retain moisture. 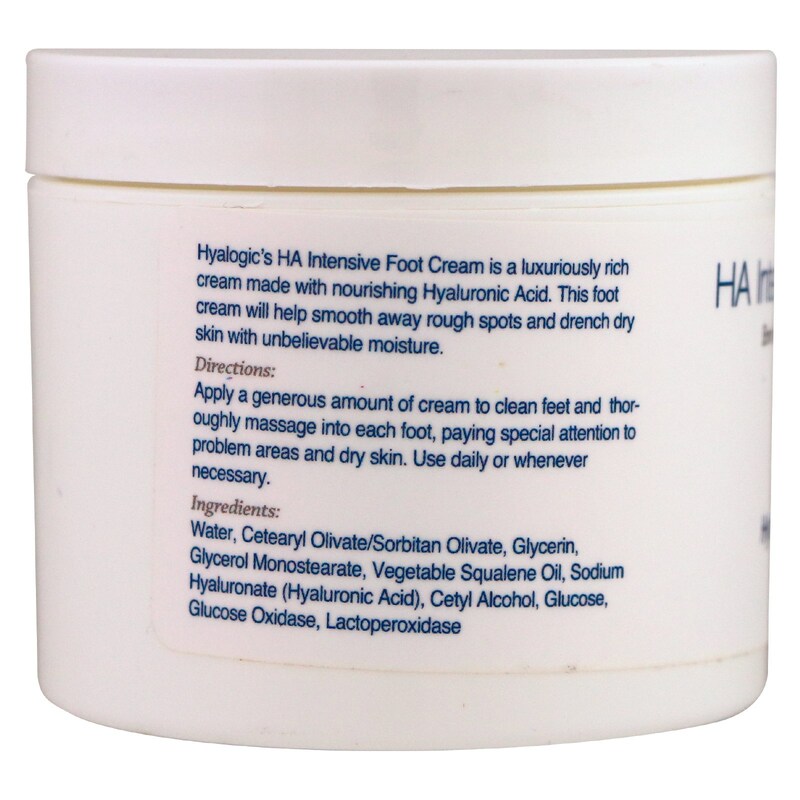 Apply a generous amount of cream to clean feet and thoroughly massage into each foot, paying special attention to problem areas and dry skin. Use daily or whenever necessary. Water, cetearyl olivate/sorbitan olivate, glycerin, glycerol monostearate, vegetable squalene oil, sodium hyaluronate (hyaluronic acid), cetyl alcohol, glucose, glucose oxidase, lactoperoxidase.